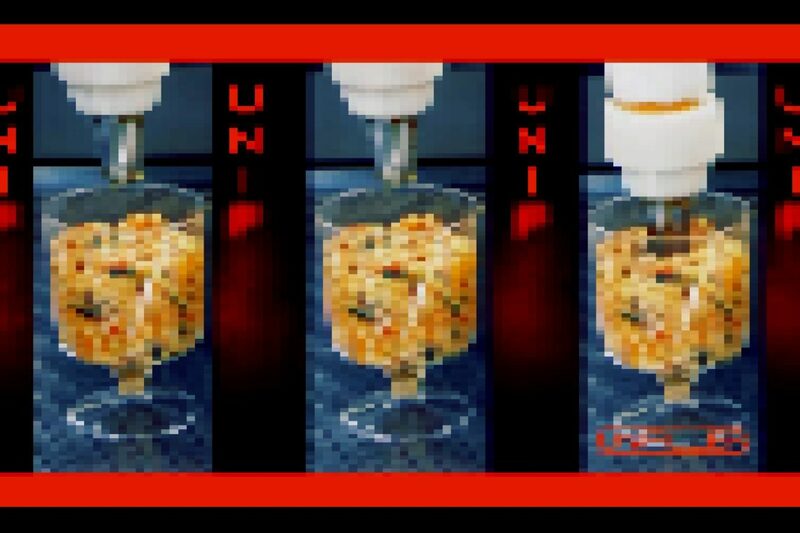 Food robots aren’t very good at their jobs. At least, general purpose bots that are supposed to replace cooks in kitchens aren’t very good at their jobs. They require laborious hand holding and gigantic engineering investments to perform the most basic tasks with any proficiency. Highly automated food factories can be pretty swish, but the industry’s tuned the definition of “food” to fit what’s easiest to automate at scale (like Facebook substituting “was the user on the page while the video was playing?” for “did the user absorb the ad?”). As for robots like Sally, Flippy, and the Zume Pizza automatons, the pitch is always that they’ve already cracked the hard problems and the path to profitability is just chalk. General purpose robots that are intended do do a multitude of tasks without reshaping the world around their own limitations are a giant engineering challenge. They represent a huge expense to the restaurant installing them, a ton of engineering labor, and ongoing services like cleaning, programming, and maintenance even in the best case scenario. Flying an engineer out at $200/hr plus expenses whenever the automatic fry cook breaks down quickly overtakes the cost of employing a minimum wage worker. The glossy tech veneer used to sell these automatons doesn’t hold up to much scrutiny, though. If you look closely at any glowing Vox video or CNN puff piece you can see the grease splatters and burger film left in the nooks and crannies of these exciting food machines. Robots often are terrible at what they do, require frequent updates to even come close to working most of the time, and need consistent inputs to generate consistent outputs. It’s taken iRobot nearly twenty years to develop a $500 robot that can clean a floor about a third as well as a human – and it still loves to schmear a dog turd across an entire house. If fast food weren’t already highly automated (with frozen burgers of an exact diameter and weight, cheese slices whose durometer you can look up in a chart, and oil with a smoke point that’s been nailed down to the fourth decimal place) aftermarket mechanization would be impossible, even with our cutting edgiest technologies. So, why would any restaurant install them in the first place? The first claim is usually that they save money. This doesn’t stand up to even basic scrutiny. There are forms of automation that do save money, and they’re always specific interventions that are optimized for a very particular scope. They need to pay off in production capacity, accuracy, longevity, and product quality what they lose in NRE, maintenance, tooling, upstream and downstream process changes, and dependencies on 3rd parties. Installing a $100k Kuka arm that requires a maintenance contract and doesn’t even fully eliminate a single full-time worker at ~$20k/yr seems like an unfair trade. Look at the amount of supervision Flippy, here requires to function. You might say it’s eliminated work by allowing a cashier to perform a set of basic tasks (putting burgers on the grill, adding cooked patties to buns, topping with lettuce and ketchup, etc.) while also doing a more complicated one (running a register and smiling for customers). From my perspective, Flippy is doing half a job and the cashier’s now doing one and a half jobs – with the robot serving as a very expensive stick to get the cashier to work harder. If your proposed solution is to have the customer punch in their order on a touchscreen kiosk and shift burger placing duties on to someone else on staff, congratulations on getting the customer to cover the cashier’s job for free. The documentarian Astra Taylor calls this particular gaff “fauxtomation“. Sometimes the claim is that worker replacement foodbots take up the worst aspects of labor to give people better working conditions. However, people are happy to work dirty, messy, difficult jobs if they’re well compensated. Why not just increase their pay until they are happy? What about trying to make the working conditions better through employing more staff to lighten the load or upgrading bad equipment? This basic maintenance and investment seems to be a low priority, while costly automation efforts pull in enormous funding. So, it’s not about the conditions. Sometimes the claim is that good PR from having a robot around will make up for the lost capital. Given that drive-through and delivery are steadily eating away at dine-in sales, it seems like a gimmick robot has limited potential to drive new business. Until lawsuits open up the books of the most recent crop of techno-optimist burger joints, that one’s up to the poets. Sometimes it’s posed as an altruistic investment in the future: “hey, this might lose money, but isn’t it worth it to climb up that next rung towards full automation?” I’d have more faith in this position if the startups providing food automation innovations weren’t doing everything possible to make a quick exit and dissolve into a corporate giant like Google. Unless these technologies become part of the milieu of industrial tools and can be built upon by subsequent researchers, they aren’t advancing anything anywhere. Also, most of these machines are a kluge of open source computer vision algorithms, off-the-shelf industrial arms, stock motion control systems, and grad student-grade manipulators. You have to get up to the state of the art to have any chance of advancing past it. Most restaurant kitchens in the US run off some version of the the Escoffier model. It’s an architecture for distributing labor and authority to make a kitchen run like a machine. It was developed to allow huge hotel kitchens to produce large volumes of consistently solid food for banquets and weddings, and its success (and subsequent enshrining in the educational mandate of the Culinary Institute of America) made it the model for the American restaurant. Escoffier kitchens have a hierarchy, where a cook starts out doing the most menial and fungible work, and moves up through the ranks over time. The more senior positions come with more responsibility and say over the operation of the kitchen – from dishwasher to prep to salads to grill to sous chef to head chef to owner. This comes with some valuable perks. As you pay your dues, you get to know a lot of people who would like the benefit of your labor. You create social relations and can take the skills you learn from one job to the next. The people you train up will be inclined to keep you in mind should their careers take off. The investment a restaurant makes in a seasoned cook can’t be recouped by the owners, and cooks leave a gaping hole when they quit – the more senior they are the bigger the hole. Even fast food restaurants require skilled labor. Burger flippers get caricatured as the lowest rung of drudges, but it’s a skilled job. Managing a dozen orders each with their own quirks (1 well done patty double cheese, 1 medium patty cheese and onion, 2 hot links burnt, 4 buns toasted – one no butter) that all need to be up and plated in concert with sides takes time to master. Places that make good food fast know it. In-N-Out is a ballet of people cooking, prepping, communicating, and instructing. Lean in to any one of their order windows and you’ll see people working at full speed managing dozens of tasks while packed into a tight space. Many of them training new workers as they operate their own stations. McDonalds is a miserable wreck of beeping timers and flop sweat. 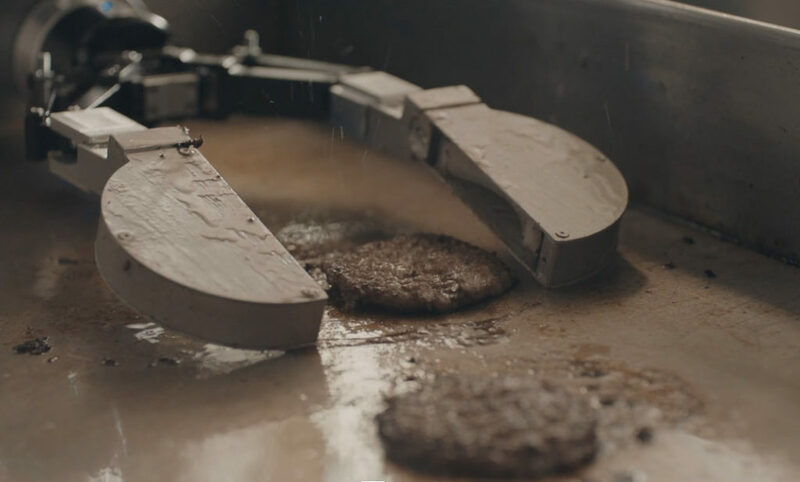 I’d wager that McDonalds has tried to automate away the skills that In-N-Out has centered (though they each use a high level of automation both in the kitchen and the factories that produce the food that gets finished off on location). McDonalds also pays kitchen workers about a third less than In-N-Out does. Unless you give people absolutely no choice, they don’t want to work a difficult job for low pay. It doesn’t matter how much they’re guilted about being lazy for not wanting to make minimum wage cleaning decomposed nutria out of storm drains – Dirty Jobs viewers weren’t selling their ski-do franchises to catch the next plane to New Orleans to tear down water damaged pre-fab homes for ten bucks an hour. You may have noticed that restaurants run on immigrant labor – mostly illegalized immigrant labor. They are an essential part of the restaurant business, though the topic is more often talked about as a joke (“how can they call this French food if it’s all made by Hondurans?”, etc) than a human rights crisis. There are entire families of cooks who get shuttled across the border to work in particular kitchens or on the staff of particular chefs. Just like the braceros and later green card workers who have toiled in chicken processing plants for generations, their precarity is the industry’s profit. No one’s checking in to make certain they’re getting a living wage, or even minimum wage – and that’s by design. The job of running a grill is usually one step below sous chef, though it doesn’t often come with the authority of office. It’s a senior position that requires a lot of familiarity with the product you’re producing, the nature of the establishment (who’s on what positions, when rushes happen, when to switch between cooking, prepping, and cleaning, whether you should have anything sitting on the grill waiting for a ticket to come in because there will always be another order for sausage and peppers, etc), and the process of cooking itself to pull off well. It’s the spot where the biggest back-ups can happen and the worst injuries are closest to hand. Even in fast food (or quick service restaurants, as the industry terms it) this is a skilled position and it comes with more pay and benefits than most other employees in the kitchen. The combination of strong ties built in the industry over time and possessing the skills to control a keystone position means someone running a grill has a lot of power – power to jump ship with a phone call if they feel they’re getting fucked over, power to leave in the middle of a shift and crater the entire day’s business, power to organize workers against management. Uber is an advancement in automation that masquerades as a service. Uber makes it possible to have a worker on the clock only for as long as they’re maximizing company profits – in essence: automated contracting. At all other times, contractors are investing in the opportunity to work for Uber through maintenance costs, gas, leases, etc. Uber’s food venture, Uber Eats represents a microcosm of what restaurant work and eventually all productive work may become: reduced, divided, and instrumentalized in to the individual actions that profit the enterprise. Picture an app, Fuber, that food workers must have on their phones to be eligible to work. Fuber rings you at six in the morning to say you’ve been awarded a shift at a restaurant you’ve never heard of starting at seven. You accept the gig and get a cab over. Today’s uniform is in a locker at the back of the kitchen, and you proceed to spend the day wiping Sysco salad dressing off of one robot and dumping frozen fries into the hopper of another. You only get paid when a task comes up on your app (like replacing the milk bag in the robot barista), and you’re expected to stay on site sweeping and looking busy until the next one comes up. You’re hired based off of the feedback you get from your clients. If you walk off the job, your account will be cancelled and another worker will be shuffled in to fill the spot within the hour. Automating senior labor positions, even if they are already difficult and ill paid, is part of a long term strategy to cut people out of the franchise starting with the most powerful and working downward until all labor is interchangeable. You might notice that there’s not a sous-chef or a chef de cuisine at your local McDonalds. There is, in fact, one executive chef for the nearly 37,000 kitchens the brand operates. The operational autonomy automation brings, not matter how unreliable and unprofitable it ends up being, is its true value to business. Commodifying labor pulls up the ladder on workers trying to get into the managerial class through leveraging their experience in the kitchen. If there is no advancement, there’s no challenge to management from employees who could start up their own competing business with what they’ve learned on the job. There will be no strikes for better pay if the labor pool is interchangeable and desperate. Even if there are jobs available, the sense of entrapment is amplified by overinflated job application statistics, underreported unemployment numbers, and chronic wage theft. There will be no calls to OSHA if the consequence for management catching wind is instant deportation. This isn’t an innovation in management tactics so much as an expansion of the same suppurating infection that brought you convict leasing and microloans. The restaurant of the future will be a wealth extraction machine built and orchestrated by unseen venture capitalists, designing menus through boutique robotic cuisine consultancies and arranging contract labor through third party apps. People will still work in kitchens, possibly in similar proportions to today, they’ll just do it with even lower pay and no control over their working conditions. We’re already on our way there. Automated car washes have gone extinct in America. They were once a glimpse of a fully automated luxury future – where robots would eliminate all the world’s menial labor while you sit back and watch technology do the work. They’ve now gone back to hand labor, with some washes pulling out their tall drums of spinning scrubbers to make room for immigrant laborers standing in place with rags and spray bottles. The choice was never between well paid workers and sophisticated automation. The force of automation, when controlled by management, will always be constructed to reify management’s own power. There is not a tension between automation and labor – automation and precarious labor are part of the same engine. When a robot breaks, an expert has to fix it for operations to resume. When a person breaks, all management has to do is replace them. When automation guarantees the people who get broken are maximally replaceable, they become indistinct from any other piece of equipment. The future looks like automation wherever it’s durable, alienating, and convenient, and menial labor everywhere it’s not. Previous Previous post: Where Does Need Come From?